Accounts Receivable (A/R) is money that is owed to you by customers for products and/or services that you have provided. It’s important to stay on top of your customer invoices; if you don’t it could lead to cash flow issues which could impact your ability to pay vendor bills, meet payroll or other obligations. One of the most cost effective ways to manage your accounts receivable and get paid faster is to use an accounting software, like QuickBooks. With QuickBooks, you can accept credit card payments, prepare and send invoices, and send automatic payment reminders to customers. Get started with QuickBooks now and save up to 50% off. The first step in the A/R process is to create an invoice and it send it to your customer. You’ll generally want to do this as soon as you’ve provided your agreed upon services, or shipped your customer the goods ordered. The second step in the A/R process is to review your A/R report weekly and send reminders to customers for invoices coming due. The final step is to ensure that you get paid for the services/products that you have provided, and to mark your books accordingly. If you use an accounting software like QuickBooks, this process is streamlined from sending invoices online to generating A/R aging reports. However, if you use a manual system such as Excel or Word then it will take a bit longer. You can save up to 50% off QuickBooks. The most important part of the A/R process is to create the invoice in a timely manner. Because small business owners like yourself wear so many hats, it’s easy to forget to invoice a customer once you have completed a job or shipped their products. The longer it takes you to invoice your customer, the longer it will take to receive payment. Depending on whether you use a manual system like Excel spreadsheets or an accounting software like QuickBooks, will determine the exact steps that you take. We will discuss both of these in more detail next. The beauty of using an accounting software program like QuickBooks is during the setup process you add all of your customer’s contact information. That way, when you are ready to create an invoice, you will select your customer’s name from a dropdown menu and all of the pertinent customer info (bill to/ship to address and payment terms) will automatically populate on the invoice. When you save the invoice, QuickBooks will record the following journal entries for you behind the scenes. As you can see, whether you sell products or services, the journal entry to record the sale is the same; a debit to Accounts Receivable and a credit to Product/Service Income account. You will also notice a 2nd journal entry that is recorded when you sell products. This journal entry will increase (debit) the Cost of Goods Sold account and decrease (credit) the Inventory account for what is generally what you paid to purchase the product. Read on to learn how this will impact the financial statements. If you’re interested in upgrading from spreadsheets but you can’t afford QuickBooks, check out our guide to the top 5 free invoice generators. If you need to record an invoice and you don’t use an accounting software like QuickBooks, then you will need to record a journal entry. A journal entry is a manual way to record business transactions like customer invoices. It should include an effective date, a debit amount, and a credit amount. To learn more about what a journal entry is and how to create one, check out this article from Accounting Tools. The journal entry that you will record is identical to the one that we discussed in the previous QuickBooks section. Let’s take a look at an example. If you use accounting software like QuickBooks then you don’t have to worry about keeping track of when your customer invoices are due. Once you set up payment terms in your accounting software, you can set up reminders to alert you a certain number of days before the invoice is due or once the invoice has become past due. In addition, you can run an Accounts Receivable aging report to see which invoices are current, coming due or past due. If you’re not using an accounting software like QuickBooks, then you will have to set up a reminder on an electronic calendar like Outlook or Google for each customer invoice. This should be done immediately after you create and send the invoice to your customer; otherwise you may forget and before you know it, the invoice due date has come and gone. In order for your A/R aging report and other financial statements to remain up-to-date, you must record payments received from customers in a timely manner. When you record payments in QuickBooks, it will automatically mark the invoice as paid, decrease the A/R balance and increase your Cash/Bank account balance. This will ensure that your Profit and Loss and Balance Sheet reports remain updated. There are a number of ways you can choose to manually mark an invoice as paid. The key is to set up a system that works best for you and stick with it as long as it is working for you. If a customer pays by check, I recommend that you make a copy of the check (before you deposit it.) Scan a copy of the check and save it to your computer. In our Small Business Bookkeeping and Accounting guide, we have included tips on how you can set up an electronic filing system to keep track of important business documents, including how long you must keep documents on file before you can toss them. If you want to save yourself time going forward, consider using an accounting software like QuickBooks. With QuickBooks, you can easily invoice customers and track payments so that you stay on top of your accounts receivables. Plans start at just $15 a month and you can get up-to 50% off. While the most common payment terms is Net 30, which means that payment is due within 30 days of the invoice date; there is no one size fits all. 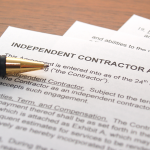 You need to determine the right payment terms for your business. However, you don’t want to deviate too much from the acceptable terms for your industry. 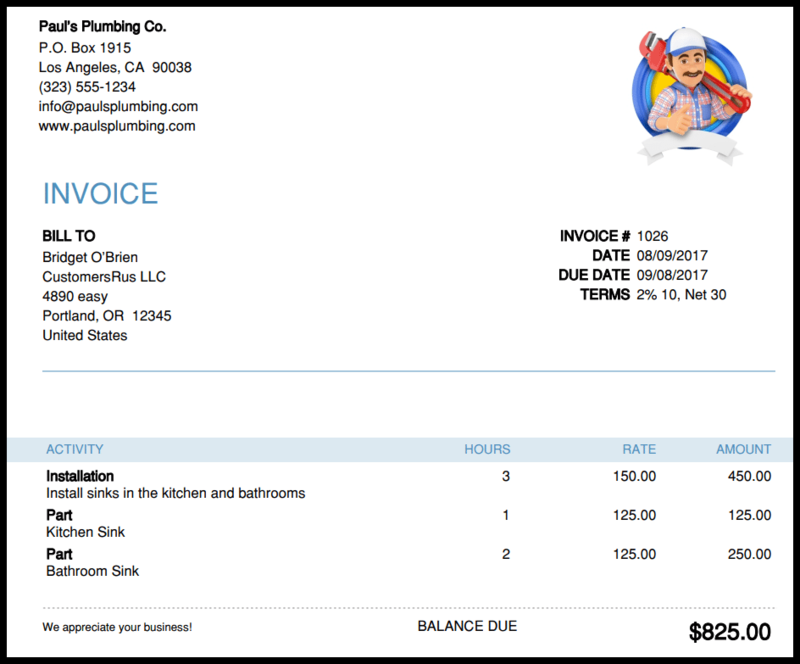 Check out What are the Best Invoice Terms for your Small Business to learn more. Nowadays, more and more people are using plastic over cash or checks. Giving your customers the option to make their payments directly online using a credit/debit card not only makes it convenient for your customer but you will get paid faster than waiting for a check to arrive via snail mail. QuickBooks allows you to email customers their invoices that includes a payment link. Once your customer makes their payment, you receive an email notification and the invoice is automatically marked as paid in QuickBooks! 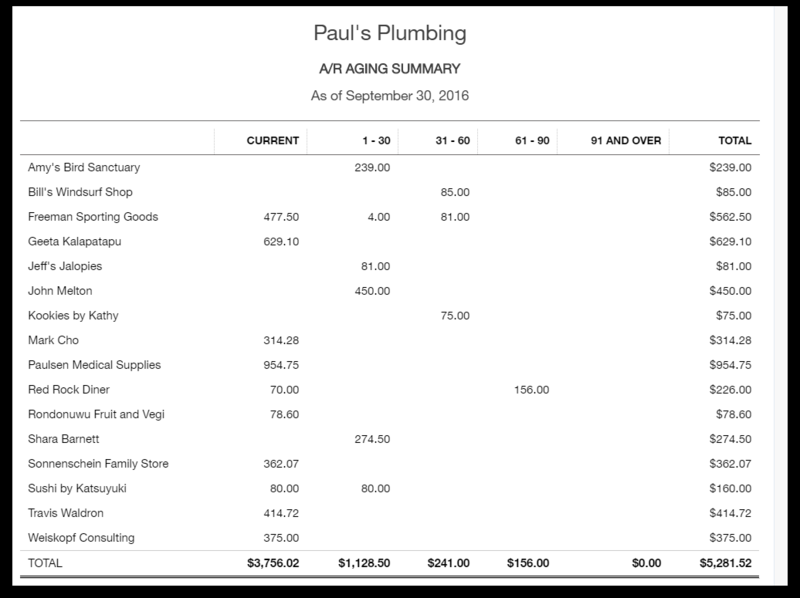 Accounts Receivable (A/R) Aging Report created in QuickBooks Online. We recommend that you review this report on a weekly basis and take action. In general, most people will take a reactive approach and wait until an invoice is past due before following up with their customer. Instead, try taking a proactive approach by sending the customer a friendly reminder a few days before the invoice is due. Xero is one of the few accounting software programs that will allow you to set up automatic reminders to customers before the invoice due date. To learn more, check out our video tutorial on how to customize invoices in Xero. One of the ways you could get customers to pay you faster is to offer an incentive. Early payment discounts are a great solution for those customers who tend to always pay late. The way it works is you could offer a 1% or 2% discount for payments made within 10 days of the invoice date. If the customer does not make the payment within 10 days then the full amount of the invoice is due based on your standard terms (i.e. Net 30). Check out Understanding Early Payment Discounts on Invoices to learn more. If you have a lot of outstanding invoices you are waiting on and need quick cash, you may want to consider invoice factoring. Invoice factoring allows you to get funding based on your outstanding A/R balances, as long as you invoice at least $50K per month. For more information on invoice factoring check out our best factoring guide. If you don’t invoice at least $50K a month, accounts receivable financing is a more flexible option. Our recommended AR financing company is Fundbox. They offer no credit check AR funding for up to 100% of invoice value. They offer lines of credit and loans of $1K – $100K and can fund in 1-3 days. Prequalify online in minutes. Earlier in this article, we discussed the journal entries that should be recorded for the sale of products and services. In this section, I would like to discuss the journal entry that you need to record once you receive payment from your customer and the impact it has on the financial statements. Let’s walk through an example to see how this works. Let’s go back to our retail store that sells caps and t-shirts. If you recall, we sold 20 T-shirts @ $5 each for a total sale of $100.00. Below is a summary of the impact that recording a sale to a customer and recording payments received from a customer have on the financial statements. Notice that the journal entry to record the sale of a product/service is identical; A debit to Accounts Receivable and a credit to Services/Product Income. The Income account would appear on the P&L report as an increase to the account. Watch our video tutorial on the Profit and Loss Statement to learn more about how this financial statement works.The Accounts Receivable account is an asset account that would appear on the Balance Sheet report as an increase to the account. Watch our video tutorial on The Balance Sheet Report to learn more about how this financial statement works. The second journal entry that needs to be recorded for the sale of products is a debit to Cost of Goods Sold and a credit to Inventory. The Cost of Goods Sold account would appear on the P&L report as an increase; the Inventory account would appear on the Balance Sheet report as a decrease. The journal entry to record the payment is the same for both the sale of a product/service. The Cash account is an asset account that would appear on the Balance Sheet report as an increase; the Accounts Receivable account is also an asset account and would appear on the Balance Sheet report as a decrease. Many small businesses owners find it beneficial to hire an A/R manager once it becomes too demanding to manage invoices on their own. Below are some tips on how to hire the ideal A/R manager. I also recommend checking out our full hiring guide for more general tips on the hiring process. The ability for someone to manage accounts receivable does not necessarily require a Bachelor’s degree. Stay open to hiring someone who brings a lot of work experience to the table over someone fresh out of college. If you hire someone with some experience under their belt, the learning curve won’t be as steep because they have done “real world” accounting as opposed to just having the book knowledge with no real experience. Include the Accounting Software in the Job Description. In the job description, I recommend that you include the accounting software and tools that you use to manage A/R. This includes QuickBooks, spreadsheets or Excel and any other programs that the candidate will need to use to do the job. Having this expertise upfront will reduce the amount of time you will have to invest in training a new employee. Check out job description template with additional tips. If a candidate does claim to have QuickBooks or other software knowledge, you should test them on it. I recommend coming up with a list of tasks they would normally have to perform (i.e. create invoices, track customer payments etc;) and have them complete these tasks. I recommend that you administer this in the early stages of the interview process. The A/R Manager will be interacting directly with your customers. Therefore, you want to make sure that they understand the importance of establishing good relationships with your customers; while at the same time not shy away from following up with customers who are past due on their payments. Don’t Forget the Background Check. Accounting positions usually involve exposure to sensitive financial data, so it’s important that you hire someone who does not have a criminal record. Check out our guide on the best background check companies for employers. I hope that the information we have provided to you will inspire you to take immediate action. I guarantee if you implement some (if not all) of our recommendations, managing your accounts receivable balances will become a breeze! Check out our free QuickBooks Course to easily stay on top of open customer invoices. Implement some of the tips we shared with you like accepting online payments from customers and reviewing your A/R Aging report weekly. Use the tips that we shared to hire a good A/R Manager, and be sure to check out more of our hiring resources for additional advice. very informative article for people like me who works in the accounting sector. 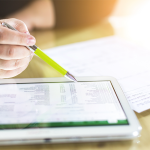 Thanks for sharing this article, it’s very helpful and Quickbooks has really helped to track all the accounting related work. Hey Jac, glad you found the article helpful. As always, thanks for your feedback. Thanks Crystalynn for writing such a great informative article and it will really prove quite learning one for accountants as well as the fresh graduates. Especially the information about accounting software which is very helpful and of course the accounting software such as Xero, Quickbooks, Sage have made accounting easier for accountants. Hi Steve, so glad you liked the article. Thanks so much for reading!